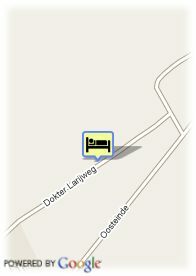 Dr. Larijweg 136, 7961 Ruinerwold, Netherlands. De Heerlijkheid Ruinerwold is a small, luxury B&B with a glorious garden, located on a picturesque road in the southwest of Drenthe. Enjoy a delightful night’s rest in one of the 3 spacious bedrooms, situated in the former stable of the authentic farmhouse. Surrounded by the stretched-out fields of the Dutch countryside, this romantic residence offers a peaceful haven. Each room is provided with its own private garden terrace, bathroom, fantastic box-spring beds and a comfortable seating area. Wake up to the smell of freshly baked bread and sit out to admire the beautiful environment. The hotel also offers a recently renovated light and spacious 2-4 persons apartment available for longer stays. After a day of cycling and hiking in the scenic area or day trips to villages in the vicinity, you can unwind in the on-site IR sauna and solarium. If you book the Garden Room, you will benefit from your very own outdoor jacuzzi. The breakfast is extennted en constists out of fresh home-made products, What to think of fresh baked bread, fresh fruit and eggs of own chicken? Our farm is located on a small local road on which all the farms are only built on one side of the road. Most of these farms are not used as a farm anymore, but are now used for other purposes. Many activities according to traditional methods can be found, for instance an Antique farm, museum farm and a potter. On the side of the road you can find hundreds of old pear trees. In the blossom period it attracts many visitors.